Smoke ‘em if ya got ‘em! 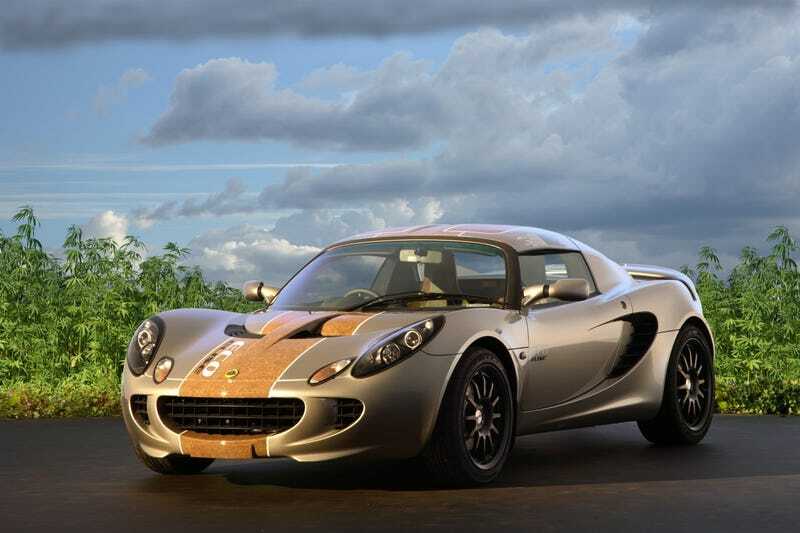 Everyone and their mother has heard about Henry Ford’s “Plastic Hemp Car” by now, but did you know that Lotus actually integrated the plant into their “Eco Elise” concept back in 2008? Apparently the natural fibers can be used to make a material that is ten times stronger than steel, at a fraction of the weight. The perks don’t end with improved materials though. In addition to being one of the most easily renewable resources on the planet, hemp has the added benefit of actually offsetting some of the Co2 output of the car it ends up in. Not to get too preachy, but if you’re an American you have to be wondering why we still ban this amazing plant in most states. Even if you don’t partake in the recreational cannabis experience, there’s really no good reason that the non-psychoactive variant of the plant shouldn’t be exploited in material manufacturing for it’s durability and economic viability. I wonder if it has an ashtray? If it was good enough for Cheech and Chong, it’s good enough for Colin Chapman!